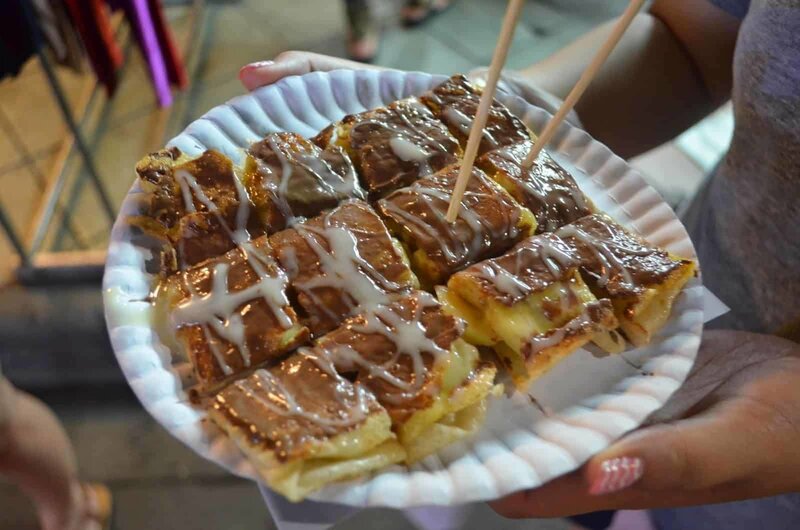 Walking street markets are very popular in Thailand and one of the attractions you can't miss on the island. 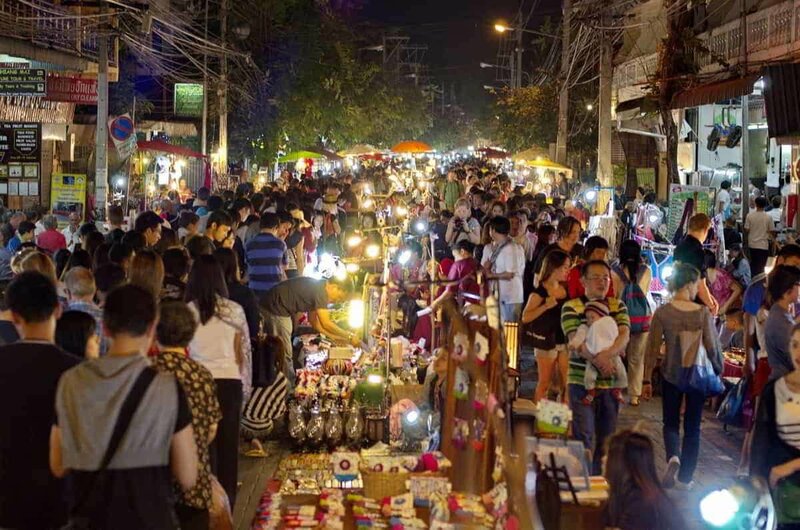 You can find a night market in Koh Samui every day of the week with food, souvenirs and street performances. We have made a selection of our 6 favorites. 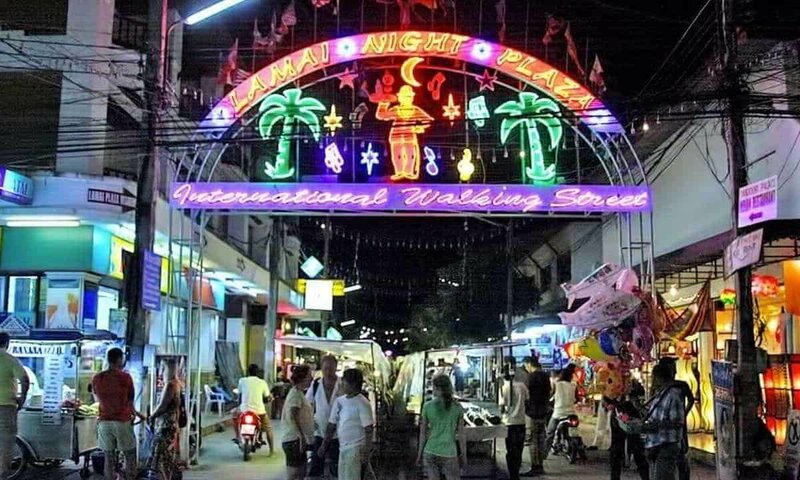 Each market gives you an excuse to visit a different location to explore the Koh Samui nightlife. We recommend Fisherman Village Samui, Chaweng market, Central Festival, Maenam walking street, Lamai walking street or Choeng Mon Market. Each location has its own charming vibes and an opportunity to meet Thai people and their food and entertainment culture. Watch the locals: chances are, if a stand has queues or a stall is packed with Thais waiting and eating their fare off metal tables, sitting on plastic chairs, it’s a safe bet it’s tried, tested, tasty. Go for it! Bring the fire brigade: it’s always good to have a cold beer or iced coconut on hand, just in case things get a little hotter than expected. Not spicy - mai pet. A bit spicy - pet nit noi. Spicy - pet. Very spicy - pet pet. Shop around: Take your time visiting a few stands and asking for some prices before making your decision. There is a good chance you may find 2 or 3 stands selling same or similar articles. Compare prices before buying. Same same: beware of paying too much for poor quality imitations! Expect to haggle: This is Thailand and haggling in the market is part of the "charm". After days haggling you will probably hate it but do it or you may pay 2 or 3 times the price. As a rule of thumb slash the price in half or more if you think they are pitching too high. Note: Be sensitive when negotiating Buddha images, Thais may find offensive going to hard on haggling. Local artists: Many stands found at night markets in Koh Samui and other Thailand Night Markets sell similar stuff. The same souvenirs, carvings and clothes. The hidden gems are among local artists. Some of the local shops may be on the sides or an art studio out of sight. Open your eyes and look for local artists of paintings, jewelry and other ornaments. This video was taken at Choeng Mon Night Market. KohPlanner's Team is a regular at this particular stand on Wednesdays. We love their stir-fry dishes like the "Pad Kee Mao" we ordered here. 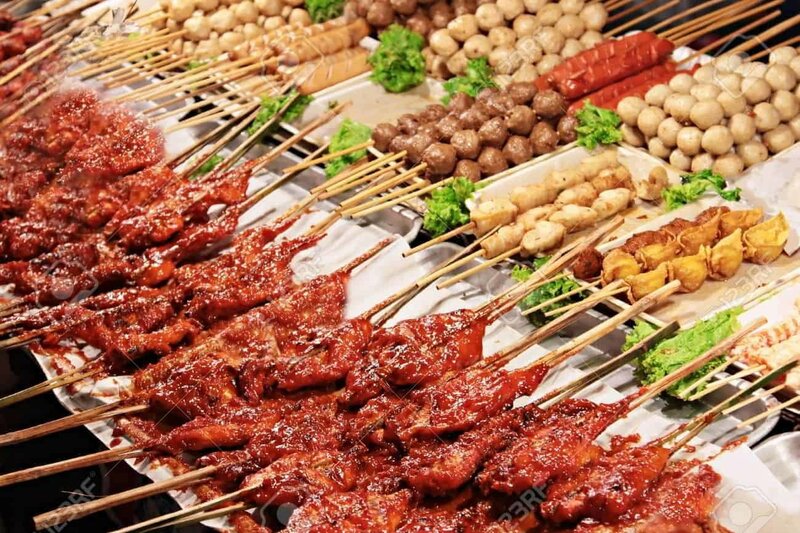 They have a selection of skewers, seafood, oysters and BBQ specialties.